E&M Global Insurance provides private medical/health insurance for: People born outside the United States, EB-5 investors and their families, expatriates and their families, international students, and U.S. citizens and legal residents who travel internationally. E&M Global Insurance is your premier agency for all your Medicare Supplemental needs. We shop all major carriers to find the right product for you. E&M Global Insurance understands that E-2 foreign investors need to make sure they are properly insured. 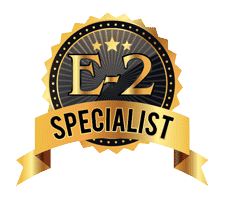 We work directly with attorneys, accountants and regional centers to overcome the challenges – and maximize the advantages – of the E-2 program. We know how important peace of mind is to YOU. E&M Global Insurance is a full-service insurance agency. We provide private insurance covering medical/health, life, disability, auto and property owners, throughout the United States. E&M Global specializes in medical/health and life insurance for people born outside the United States. You can count on us for high quality insurance coverage for E-2 and other expatriates and their families, for international students and those studying abroad, and also for U.S. citizens and legal residents who travel internationally. We promise you a world class experience with superior, personalized insurance products that will exceed your expectations! Let E&M Global Insurance give you the personal touch and the professional expertise that you deserve!